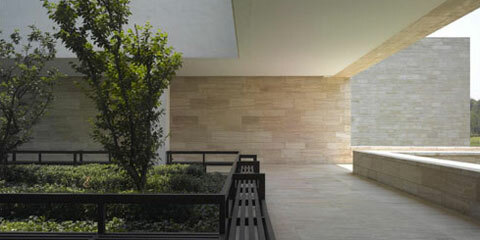 David Chipperfield Architects has recently completed the Liangzhu Culture Museum in Liangzhu Cultural Village, China. 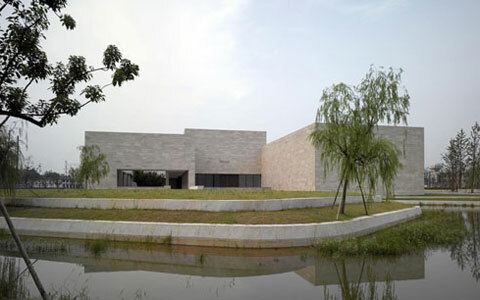 The museum, which will house a collection of archaeological findings from the Liangzhu culture, forms the northern point of a park characterised by water. 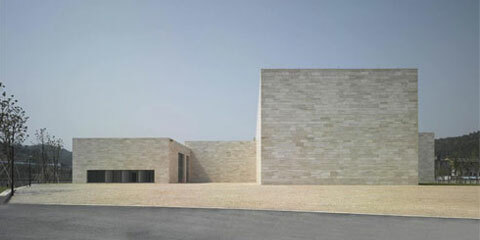 The museum is composed of four bar-formed volumes. These volumes all have the same width of 18 meters but differ in height, emerging as a sculptural form visible from the outside. The courtyards inserted in each volume are a part of the tour route and function as joints, linking the different exhibition halls. To the south of the museum there is an island with an exhibition area, linked to the museum building via a bridge.